Hat tip to CJ over at CozyGirl for suggesting a Best of/Worst of regarding our land yacht voyage. We had actually written all of the notes during one day of travel--yes, something to keep the RV chauffeur awake. We felt it was appropriate at the end of the calendar year as many other media outlets begin their "Best Of/Worst of 2012" exposes. As is common with most relationships, we did not always agree, so we noted each others names when our opinions differed. This post is also dedicated to Debbie over at Great Escapes From NJ who said she loves blogs with links--more links here than the Johnsonville sausage factory. Oh, and a big howdy to our current neighbors, RoadmaptoNomad, who became full-time RVers just yesterday, how awesome is that. I apologize in advance as to formatting---Blogger should rename itself to Booger--cause I get madder than snot when I use their app. Don't you love the message "An error occurred while trying to save or publish your post. Please try again. Ignore warning"--I thought the reason for WARNINGS was so they were not to be ignored. I don't see Tylenol putting on their labels "Keep out of reach of children. Ignore warning". I was within a razor's edge of renaming the blog to FLIP THE BIRD VECTOR. 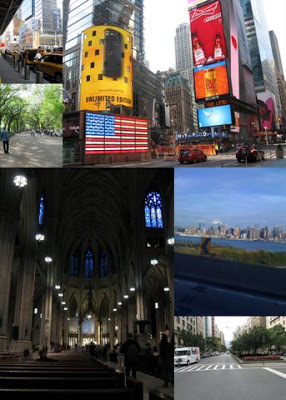 So, if you see uncentered photos, text spacing, etc. where they don't belong, it is not due to the over indulgence of egg nog as I prepared this post. In the "Edit" post, all looks reasonably well. However, when I go to "Preview", it looks like someone riding the short school bus got a hold of my laptop. Also, since most of our readers made it beyond Kindergarten, not every picture will have a photo. Broadway--Rock of Ages-New York City (Teri)--the day my man card virginity was taken. 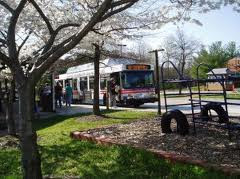 Ocean Lakes Travel Park- Myrtle Beach, S.C.
Cherry Hill RV Park- Washington DC.--Easy commute to the city. 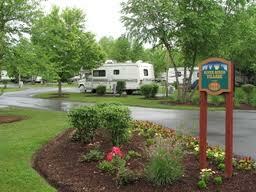 Turning Stone Casino/The Villages RV Park- Oneida, N.Y.--Beautiful, well-layed out, trash can at every sight. Century RV Park, Ogden, UT--park was fine, but office staff couldn’t spell RV. Timberlane Campground, Clarksboro, NJ --- too much attitude, charging weekly for electric and dozens of square bugs that we still find alive in our rig 3 months later. Funny enough, this is where popular RV Blogger Cheddar-Yeti is holed up for the Winter. Skyline RV Resort, Darrien Center, NY—park wasn’t too bad, but loud mouth seasonals were disruptive. Perrine Bridge, Snake River, Twin Falls, ID. watching base jump divers and sleeping for free! San Francisco, Denver and D.C.—flip a coin. Hiway Haven, Sutherlin, OR.—yeah, drive-in movie screen included. RV.net -almost any question you need answered can be found here. Hat tip to my virtual mentor, Newman, who has dedicated his life to making sure I didn't electrocute myself. rvparkreviews.com-- The Yelp-like source for RV'ers! Indochine- Wilmington, N.C., our first stab at Thai food, awesome! Steamboat Bill's- Lake Charles, La.--Shrimp Pistolettes, the best! Cracker Barrel- Wilmington, NC. Spices must have been back-ordered while we were in town. Ogallala, NE. Elevated the definition of “bland”. Carolina BBQ--mustardy vinegary BBQ sauce= besty. 447 miles, Williams, Az to Bakersfield, Ca. Lowest price per gallon of diesel. $3.39 Texas, in April 2012. No surprise. Austin, TX- 27, in December. LOL. There you go folks, hours of work, organizing photos and arm wrestling Blogger is complete! And, if you don't like this blog post, I am hiring Christy over at He Said/She Said to write a formal response---I hear she does a stand up job! MERRY CHRISTMAS FROM DAVE AND TERI AT FLIP FLOP VECTOR!